Imagine waking up every morning loving your picture perfect, beautiful complexion. Your friends will insist you share your beauty secret as they admire the younger, more vibrant looking you. Even strangers will notice your youthful glow! The secret? 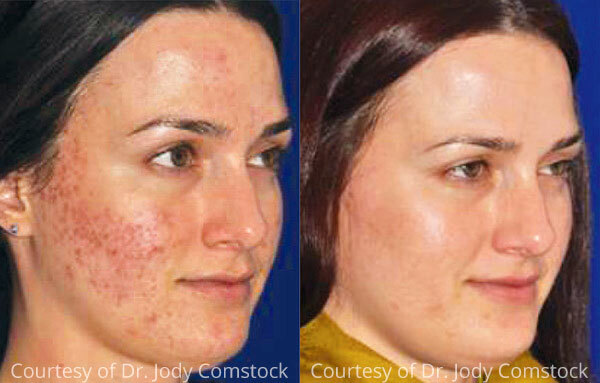 Growth Factor Facial which combines microneedling with PRP. Best of all, you can take advantage of this revolutionary and painless treatment right here in NYC. The Growth Factor Facial is so effective, you’ll think twice about “having” to wear makeup to cover up blemishes and other imperfections. The treatment helps your skin restore its smooth texture and clear complexion. It will make everyone wonder if you’ve found the fountain of youth. What is Growth Factor Facial? The Growth Factor Facial is a combination of two proven and effective skin innovations: microneedling and PRP (Platelet Rich Plasma) Therapy. Microneedling with PRP therapy is a non-invasive treatment that works to promote skin regeneration while improving skin texture and tone. In other words, it works to reduce the visible signs of aging, such as, the appearance of spots, wrinkles, and damaged skin. Non-surgical. Unlike facial treatments which involve surgery, microneedling with PRP is non-invasive, which means it doesn’t require surgery, standard injections, or dangerous lasers to treat your skin. Virtually painless. Since the microneedling process only affects the top layer of your skin and there is a numbing cream before the treatment, the procedure is nearly pain-free. Some even say the experience is comfortable and relaxing! Almost no downtime. Even though you should stay out of the sun and not wear makeup for 24 hours following the treatment, you can return to your normal daily activities the very same day. Your skin essentially heals itself. 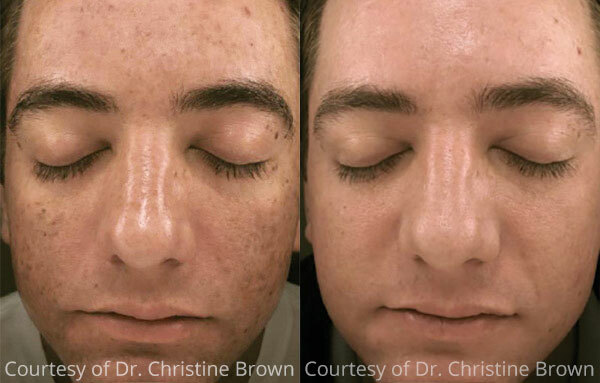 Microneedling with PRP is one of the safest and most effective skin treatments because it essentially triggers your body’s own ability to heal itself, without the need for any foreign substances. The treatment simply encourages the body to produce its miraculous, self-healing protein: collagen. Improves over time. Your skin will improve over the following 4 to 6 weeks as your skin regenerates and produces collagen and elastin. The first procedure is microneedling, an award-winning technology that creates microscopic wounds, or passageways, on the skin. The treatment is painless. The purpose of the microscopic wounds is to stimulate the body’s natural healing process wherein your skin produces collagen and elastin. Collagen and elastin are the foundation of supple youthful-looking skin. The second treatment is the PRP therapy, or Platelet Rich Plasma therapy. PRP naturally comes from an individual’s own blood. During the treatment, a small vial of your own blood is drawn. The blood is then placed into a centrifuge which separates the PRP from the blood. The separated PRP is then applied directly to your skin and absorbed through the passageways created by the microneedling process. This topical application of PRP, supercharges the natural healing process and creation of collagen and elastin, resulting in a much more dramatic improvement than microneedling alone. This procedure is based on the skin’s natural ability to self-repair and self-heal. Microneedling with PRP (Platelet Rich Plasma) contains a concentrated amount of your own platelets which are full of proteins, the growth factors, which are responsible for healing wounds and creating collagen, as well as, the regeneration of skin cells. The treatment takes about an hour and half and performed in a relaxing spa-like environment. Following the microneedling with PRP treatment, you’ll receive a vial of Hyaluronic Acid serum to take home for post-treatment application. You will apply the serum topically to soothe the skin during the recovery process. The treatment usually lasts about an hour and a half. This includes the preparation, procedure, and post-treatment mask. What are the most common side effects of the treatment? Following your microneedling with PRP treatment, you may experience some redness, swelling, and tenderness of the skin. Depending on your skin, the downtime will be around 1-3 days of possible redness and swelling. For most, the skin will completely recover within 72 hours. Although, your body’s collagen production usually takes about 4-8 weeks, so following the treatment you’ll continue to see improvements over the course of this time. What is the calming mask and why do I need it? After the treatment, you will need the calming mask to reduce and soothe redness, irritation, and inflammation of the face. It’s applied in-office, directly after the microneedling treatment. How often should patients receive this treatment for best results? Typically, we recommend a series of 3 treatments 4-6 weeks apart for optimal results. If you have severe scars or damage to your skin, we shall suggest a recommendation during your evaluation. Once you have completed your series, we recommend once or twice a year to maintain the results. You can apply makeup 24 hours after the treatment. A topical numbing cream is applied before the microneedling treatment to minimize discomfort. Are there any other treatments which complement microneedling with PRP? To achieve the best facial results and look decades younger, other treatments such as Botox, fillers, and laser treatments are a perfect complement to this procedure. Taking charge of how your skin looks and feels – without the unappealing wrinkles and fine lines – doesn’t have to be a sought-after dream. CALL (212) 472-2900 TODAY to book an appointment to restore a beautiful complexion.